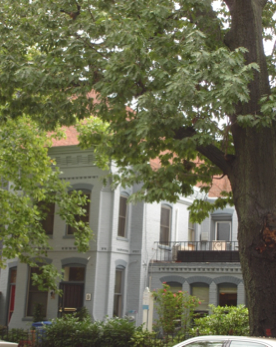 The Energy House team’s renovation of this Capitol Hill townhouse resulted in Pepco volunteering a 40% cut in the client’s monthly power bill, demonstrating that cost-effective renovations which implement energy-efficient techniques have a significant positive effect not only on the environment, but on homeowners’ wallets. Energy House Three was a residential energy retrofit of an existing townhome, developed in association with the owner to install the most innovative energy systems at a discounted price, in exchange for the opportunity to demonstrate these systems to a select public. ERM (Energy Resource Management Construction Corp LLC), a local company based in Virginia, provides energy design and installation to residences and small business in the metro DC area. www.ermcc.com. As an energy management company ERM collaborates with a number of local green professional firms and contractors to make the improvements necessary to upgrade existing properties in our area. A list of our partners can be found on our web site. 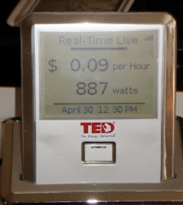 Energy House 3 featured an interactive home energy system that monitors the property’s energy usage, which yielded a near 40% decrease in usage and costs before the project was even completed. In addition, the home exhibits a complete energy efficient lighting scheme, green VOC paint, water management system, energy efficient weatherization, insulation, and a bottom line analysis of all those programs for payback and a surprising return on investment for the property owner. At the heart of the Energy House Three townhome renovation was a redesign of the living space by Mary O’Brien of MKO Design. The renovation provided ERM the opportunity to seal and insulate the raw space to a very high standard, providing significant energy savings, and dramatically reducing sound passage from bustling Capitol Hill traffic and activity. The fully renovated kitchen and living room created by one of the area’s top designers demonstrated that energy efficiency and cost savings can be integral to a beautiful appearance, indistinguishable from less energy-efficient solutions.